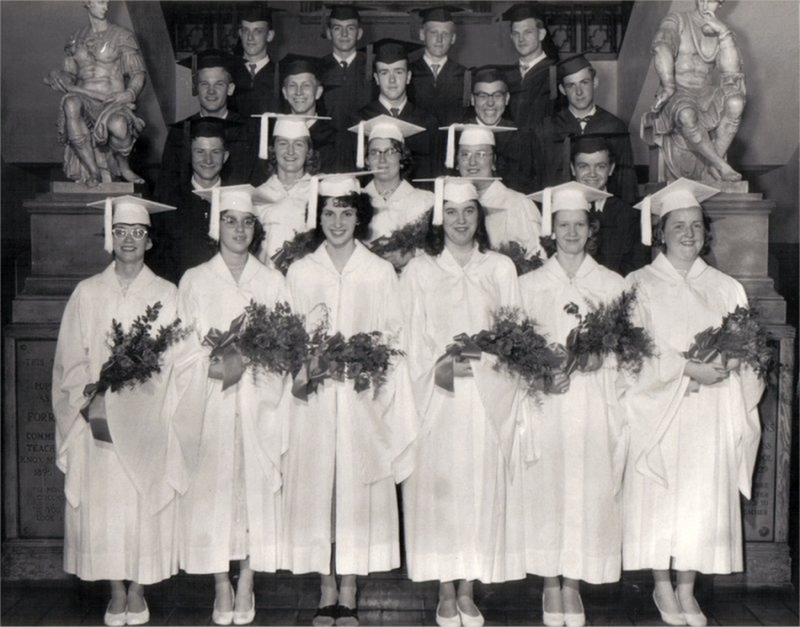 1st row: Donna Rice, Margaret Briggs, Wanda Johnson, Helen Giles, Constance Sharpstene, Betty Gilbert. 2nd row: Edmund Hill, Ann Grandy, June Mackin, Joan Fountain, Herbert Whitmarsh. 3rd row: Harry Tupper, Charles Bullock, Edmond Harmer, Wendall Whitmarsh, Carl Curtis. 4th row: George Grant, Garry Matthews, William Wiese, Charles Tupper.